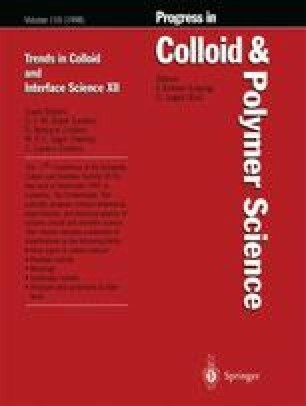 In the present work, an experimental research of the primary electroviscous effect has been carried out with suspensions of carboxyl polystyrene latexes. The latex was previously characterized from a surface and electrokinetic point of view. The surface charge density and its variation with the pH were determined by conductimetric and potentiometric titration. The electrophoretic mobility of this latex particles was measured against the NaCl concentration. The mobility data were translated to zeta-potential values by using different theories (Smoluchowski, O’Brien-White and Dukhin-Semenikhin). The primary electroviscous coefficient (p) has been obtained by measuring viscosities of suspensions as a function of the volume fraction of solid. The viscosities were measured at several pH and electrolyte (NaCl) concentrations. The experimental values of the p coefficient were compared to those obtained theoretically by several authors (Smoluchowski, Krasny-Ergen, Booth ...). Because zeta-potential has to be used in these theories, the p coefficient was calculated by including different zeta potential values. The p values calculated by using Booth’s theory and the O’Brien-White zeta potential were very similar to the experimental p coefficients.